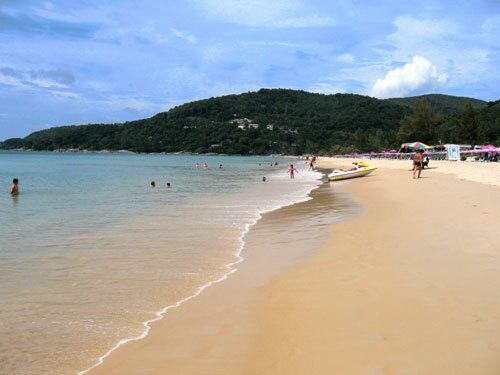 I went to Kata beach first; you can see that review here , and then I went down and shot a video of Karon beach for a comparison. It's hard to choose between the two as they both provide a beautiful setting, lovely sand, and clean, clear water. As you can see from the picture below, it's a long, smooth, yellow sandy beach with lovely shallow water to bask in. We went for our honeymoon in Phuket and visited both beaches. We were with family and friends too, all of whom enjoyed themselves immensely. The beaches were both clean, the water clear and the backdrops lovely. The people were all friendly and we had no problems at all with locals of other holiday folks. It wasn't too busy either, but the fact that the beaches are big, with lots of space to walk up and down, makes it perfect for those busier times of year when you need the space. For me, Karon edges it slightly over Kata on the basis that the backdrop has more of an island feel to it. I really felt far away, like I was marooned somewhere! Karon beach is about 350m walk from Kata beach, and of course your choice will be based on the location of your hotel, but you can do both on alternate days, no worries. 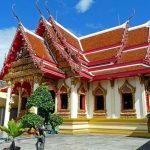 They are both certainly worth visiting if you're holidaying in Phuket, and easy enough to get to if you are staying near one or the other. I have also put some videos up on YouTube of Maya Bay, Phi Phi Don, Monkey Beach and a few other places, so check those out on my channel. Hi there! Thanks for this helpful blog. 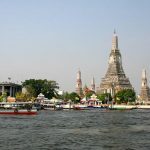 I'm planning on visiting Thailand for 7-10 days. It's my first time visiting and I just wanted to ask if it would it be a mistake to stay that long in one place? or do you recommend island hopping? Should I book a hotel in one place and go touring around? or are the places too far apart to do that?Your advice would be much appreciated! Thank you!!! If you are in Phuket you can easily visit a few islands by doing day trips and an overnight trip or two to islands like Phi Phi. With the time you have, I'd book into one main hotel and visit islands on a 1-2 day basis.